Our primary specialties are trauma, abuse, and PTSD; anxiety and stress management; depression and other mood disorders; and working with military veterans and families. However, we also serve many clients who concerns are outside the area of specialty. Please contact us to find out if we can meet your needs. We have extensive experience in serving military veterans, as well as families, spouses, and children of veterans. Many of the most common concerns for military veterans such as re-integration issues, deployment stress, anger, PTSD, marital/family conflict can impact more than just veteran. We are happy to serve all members of the military family. Please read more about our services for military veterans and families here. Many people experience some form of trauma throughout his or her life whether it is physical, sexual, or emotional abuse. Others experience lingering effects from experiencing a single traumatic event. We are here to help survivors of trauma and abuse to grow stronger and heal from past experiences. Please read more about how equine assisted counseling can help here. Sometimes life can become challenging. Whether you feel as though your anger or worry is consuming you or you are just struggling to have a sense of peace, equine assisted counseling can help. Through interaction with the horses, you can discover the source of your struggle and develop coping strategies for a happier, more fulfilling life. Please read more about how equine assisted counseling can help here. There are times in life when you just don't feel like yourself anymore. You may feel sad or you may have lost interest in activities that you used to enjoy. Perhaps you find yourself feeling angry all the time. 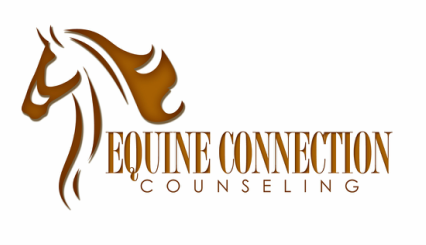 Equine assisted counseling can provide a safe place for you to explore these feelings and begin to reconnect with both yourself and the significant others in your life. Please learn more about how equine assisted counseling can help here.